To activate child pricing please go to My Property / More / Policies / Other Policies from the upper menu of your HotelRunner extranet and then check ‘Child Pricing’ on the pop-up window. Please define the child age range applied in your hotel on the same window. Please click the “Age Range” button on the right corner to enter a new age range. Please click Save on the right bottom when the process is done. 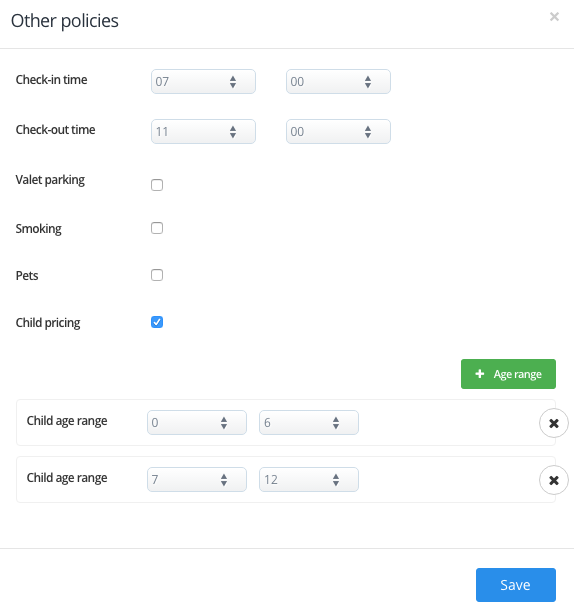 After this process, you must select the room you want to add child pricing over My Property / Room Types sections from the upper menu of your HotelRunner extranet. Over the “Master rate” section on the left side menu of the selected room, you must save your child pricing. 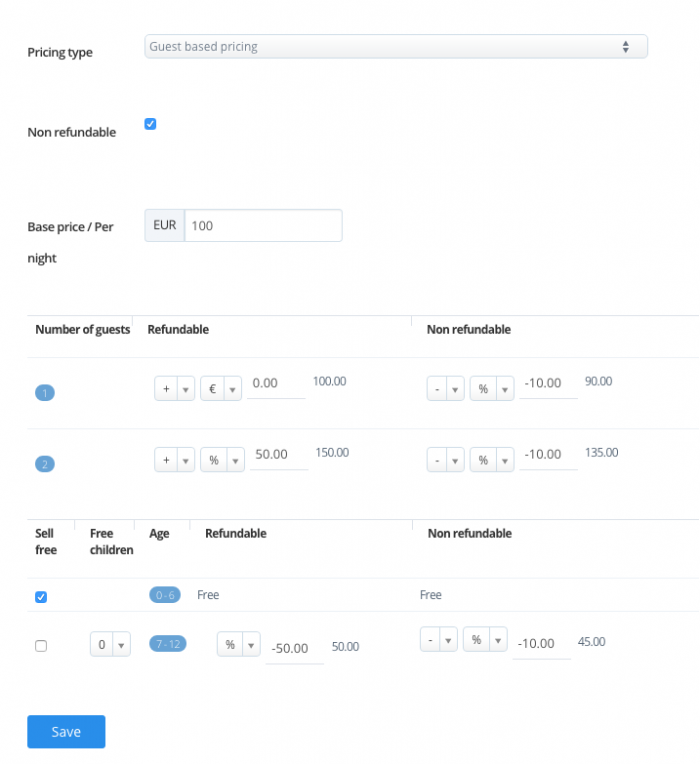 To identify the child pricing over the Master rate section, the Pricing Type must be selected as “Guest based pricing”. Lastly, please enter your child rates according to the already determined base rate and click Save. After saving this process, you need to update your rates over the Calendar section from the upper menu of HotelRunner extranet to validate your child pricing.